I’ve always liked to read above my age level. Ever since I developed a taste for good books (around the time I was in preschool) I’ve been on the hunt for amazing reads. And I don’t let the target age stop me. At least…I try not to. I’ll happily pick up a middle-grade book, or even an old classic like Winnie-the-Pooh. I adore old standbys like Little Women and Anne of Green Gables. So, I figured, I’d love today’s “modern classics” just as much. When I went into high school, I’d already been testing the waters of contemporary YA fiction. I was never—ever—going to read these books. Not when they used words I’d never heard spoken aloud in my life and supposedly “sweet” romances turned into…what??? My desire to read books at or above my reading level ground to a halt. I had yet to fully explore Christian fiction, but I knew one thing: God did NOT want me filling my mind with mainstream YA. I went back to reading middle-grade fiction for a while, until one main character’s brother showed up with…his boyfriend?!? Okay, I thought. There aren’t any books I want on these shelves anymore—either they have great prose awful content, or ho-humish prose and okay content. 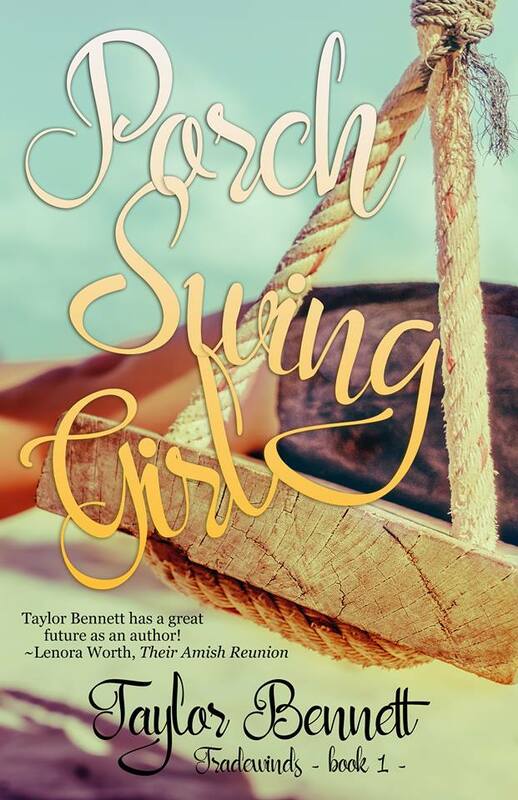 When I wrote Porch Swing Girl, I was writing for an audience of one: me. And what did I want to read? I wanted to read about Hawaii, about life and death and tough choices. I wanted to revel in well-crafted prose and follow a sweet plot to a satisfying (if slightly predictable) ending. Oh, and if there was going to be romance, it was going to be squeaky-clean. Send them out on a non-date together. Bonus points if one of them thinks it is a date and the other has to explain that, no, dating is serious business and they’re not going to date for fun. Make them fight. But not the kind of “he-loves-me-he-loves-me-not” kind of fighting. No, I’m talking arguments about God, about His will, and about big life decisions. Write scenes where they end up in spirited debates, where they’re forced to learn and grow. Help them become friends. Good friends. Maybe even best friends. Help them overcome their differences and join forces to make an impact on others around them. Keep touching to a minimum. Remember—they’re JUST FRIENDS. A hand placed lightly on an arm or a short side hug is all you need to build their relationship. Add one so-awkward-it’s-cute cheek kiss at the end. A kiss that says “I care about you, I admire you, or I’ll miss you.” Still abstain from using the “L” word. Instead, show how the characters feel for each other. Write about the warmth in their gaze, or the gentleness in a fleeting touch. 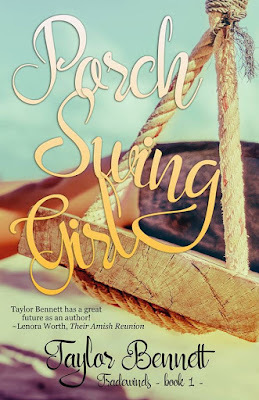 Homeschooled since kindergarten, Taylor Bennett is the seventeen-year-old author of Porch Swing Girl, which was released by Mountain Brook Ink on May 1st. When she’s not reading or writing, Taylor can be found playing her violin or taking walks in the beautiful Oregon countryside. 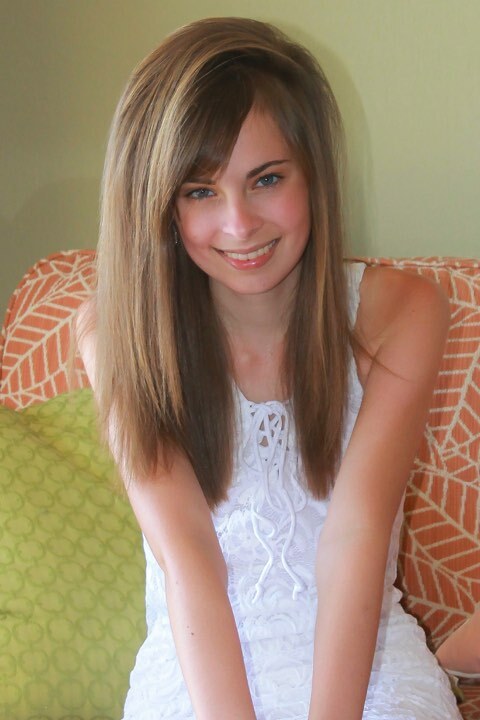 She loves to connect with readers via her author website, as well as Facebook, Twitter, Instagram (her favorite! ), Pinterest, and Goodreads. What if friendship cost you everything? Stranded in Hawaii after the death of her mother, sixteen-year-old Olive Galloway is desperate to escape. She has to get back to Boston before her dad loses all common sense and sells the family house. But plane tickets cost money—something Olive gravely lacks. With the help of Brander, the fussy youth group worship leader, and Jazz, a mysterious girl with a passion for all things Hawaiian, Olive lands a summer job at the Shave Ice Shack and launches a scheme to buy a plane ticket home before the end of the summer. But when Jazz reveals a painful secret, Olive’s plans are challenged. Jazz needs money. A lot of it. Olive and Brander are determined to help their friend but, when their fundraising efforts are thwarted, Olive is caught in the middle. To help Jazz means giving up her ticket home. And time is running out. I like this post, but I do have to mention that having a gay character who's in a gay relationship isn't exactly shocking. It's not right by biblical standards, but in the world we live in, it shouldn't be something that surprises us. We don't have to read it, but we shouldn't necessarily avoid the topic of unbiblical relationships because it could be a really interesting novel topic if it's written from the perspective of someone who loves the Lord and is just struggling with gay feelings, which they know are wrong. So yeah, not to start a rant or anything, but I just thought it was worth mentioning. 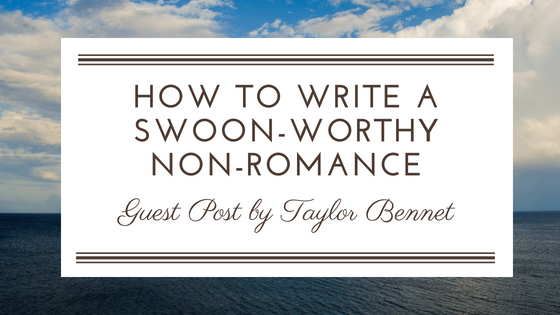 Good post, keep fighting for clean novels, Taylor. 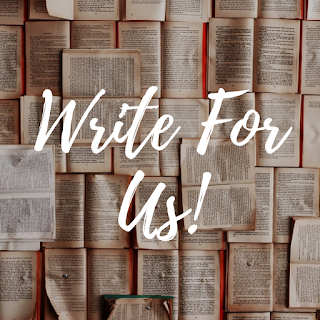 Thank you for reading and sharing your thoughts! You are correct in saying that homosexuality is wromg bublically. But I’d have to disagree with your very next statement to a certain extent. The world we live in has always been the same... the 21st century isn’t *that* different from biblical days. Sin has and always will exist until Yeshua (Jesus) returns. I guess the question is, should sin shock us, in any form? Yes! No matter how *common* sin become it should always shock and sadden us. We ought never to give into “this is just how things are” and not watch over our hearts and minds, to keep them pure before God. As to avoiding the topic... I don’t think that’s quite what Taylor meant. She means to not embrace it, enjoy it, find entertainment through it. As for myself, I do recognize that it is a sin that needs addressing urgently currently. I never avoid this topic, but approach it with love toward the sinners, love for God and His perfect ways. The idea to expressed for a novel is actually quite unique to the homosexuality fiction... and to be honest, I’D LOVE TO SEE A NOVEL ABOUT A GAY COUPLE FINDING REDEMPTION! I don’t think this would go over so well with most homosexuals, but this is a fiction we need, I will agree. As long as it doesn’t glamorize homosexuality or make light of the fact it is a sin before God. A novel like that would be terribly hard to pull off... but if one could make a success of it before God, good for them! This is a great post! I loved that about Porch Swing Girl!